In the rush to grow more and more crops to satisfy growing demand of food, farmers using a lethal cocktail of pesticides to control disease and insect attack to gain more n more. It has been know that Farmers uses more than 400 artificial fertilizer & pesticides during farming in different way. Did you know that if you consumed an average apple you would be eating over 30 pesticides, even after you have washed it? This is just an example, what about others things, grocery & Pulses & Spices & other our daily food products??? So Think how many Pesticides & harmful elements we eat everyday. & what it effect on our body ? Good news for producers/farmers bank balances perhaps but not good news for our health, this is why you need to be informed of the advantages of organic food. The quality of food has definitely gone down since the second world war. For instance, the levels of vitamin C in today's fruit bear no resemblance to the levels found in wartime fruit. . Definition of Organic Food: It refers to a product that has been grown or made by avoiding the use of artificial ingredients, preservatives, synthetic pesticides and fertilizers, hormones, antibiotics, or irradiation. In other words, an organic product is a healthier and a better alternative for us and for the environment.Organic Farming is a form of agriculture that relies on crop rotation, green manure, compost, biological pest control, and mechanical cultivation to maintain soil productivity and control pests. It excludes or at least strictly limits the use of synthetic fertilizers and synthetic pesticides, plant growth regulators, livestock feed additives, and genetically modified organisms. Organic certification by a competent authority is an assurance that the essential elements constituting an “Organic” product have been met from the farm to the market. Organic food has become very popular these days probably because of its benefits over other conventional food. 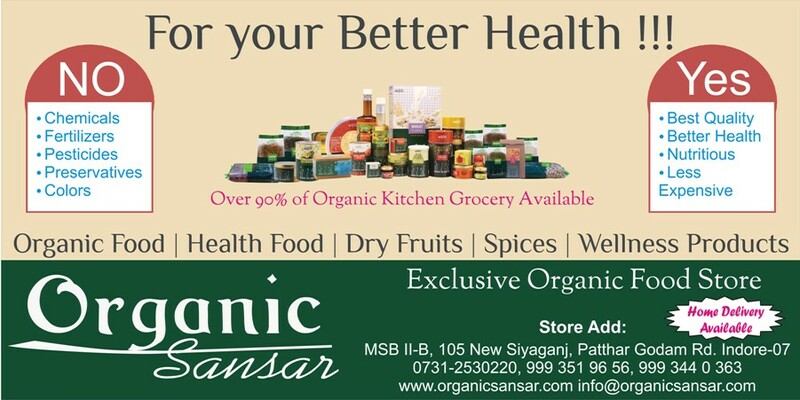 Organic food is very beneficial for our health especially our children’s health. And indirectly you also contribute to save our environment. That feels good. Go Organic ! Harmful substances found in non-organic food. Artificial coloring's Flavoring, Preservatives & processing acid. Disease caused by these substance. Cancer, liver diseases, digestive diorder, gut problems. IT’S THE FOOD THE WAY NATURE WANTS IT TO BE.